Pasture Living: The Best Way to Diffuse Essential Oils, Novita Diffuser Reviews and A Giveaway! The Best Way to Diffuse Essential Oils, Novita Diffuser Reviews and A Giveaway! Upon learning about essential oils and using them, I'm more and more convinced that God has supplied us with all that we need to live healthy and heal sicknesses naturally. I was excited when I read that essential oils were used as far as the Biblical times. They are mentioned so many times in the Bible. They used it for anointing, healing the sick, and in religious rituals among other things. Moses was given a recipe for holy anointing oil, which included the essential oils of myrrh, cinnamon, calamus, and cassia as well as pure olive oil (Exodus 20: 22-30). 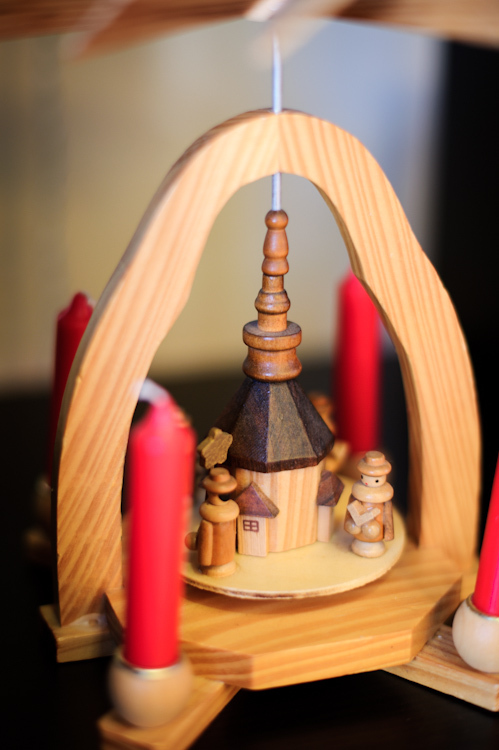 The the wise men gave frankincense and myrrh when they visited baby Jesus. Mary anointed the feet of Jesus with the expensive spikenard oil and wiped his feet with her hair (John 12:3). Another interesting fact in the Old Testament is that people come for worship in the same place where animals were slaughtered as sacrificial offerings, and the oils that were used on altars in the temple possessed antiseptic and anti-viral properties that killed bacteria and viruses to deter health situations which might otherwise arise. It couldn't be a coincidence. The people of those days really knew how to use essential oils better than we do now. How to Diffuse Essential Oils Effectively and Safely? Pure essential oils are very potent and we have to know how to use them correctly to reap the maximum therapeutic benefits. Some apply essential oils mixed with carrier oils directly to our bodies and others diffuse essential oils for longer effects. There are many ways to diffuse essential oils. The most common way of burning oils is to use steam, by putting the oils directly in boiling water or candles, either by putting the oils in the melted wax or using candle diffusers, both which require the presence of either heat or naked flame. Heat may alter or destroy the oils, making the therapeutic effects less optimal and burned oils may even be carcinogenic. I was looking into buying an electronic diffuser that is safe, functional, and doesn't use heat and I think I found what I'm looking for. I was given a Novita diffuser for reviews and I have to say I am very pleased with the product. I like that this diffuser uses water and advanced ultrasonic technology which allows the essential oils to be diffused into the air without heat or burning. The nebulizer in the water tank breaks down essential oil into microscopic droplets for better absorption and greater therapeutic values so we can enjoy the therapeutic benefits longer, for up to four hours, much longer than if I were to use a candle or steam. The bonus part about this is that it has a built-in sensor which shuts off when the water level falls below the safety level to prevent risk and damage to the unit and user. A soft LED light illuminates when the diffuser is switched on. You can turn it on as a night light or turn it off if you so prefer. I've been using this diffuser regularly, especially when someone in my family is down with cold, cough, or fever. I would diffuse eucalyptus and/or peppermint essential oils to help decongest. I am so happy about using this diffuser. It's easy to use, compact and cute, and it's easy to clean. And best of all, it's safe and does its job well just as it's designed to do. 3. Comment on this post on why you'd like to win a Novita diffuser for Christmas and leave your email address. If you are uncomfortable leaving your email publicly, send me a message through Pasture Living Facebook page. 4. Share this giveaway on your Facebook page and tag a friend. This giveway will end on 15 December 2013 Singapore time and the winners will be announced through email. Open to Singapore residents only. Disclosure: The diffusers are spponsored by Novita, but all opinions are my own. Glad you like it vic :) it is the safest & most effective way to enjoy the benfits of essential oil!! This is the best qay to diffuse essential oil without compromising the real value of the oil. Would like to win to diffuse to keep my family away from viruses!! Would love to win one so that I can diffuse the oils correctly and efficiently to reap the benefits of the oil. Hope to win one diffuser for my family so that we can diffuse the essential oil safely and not to worry that children will get hurt from the burners. Have been using essential oils for the whole fam's ailment and clean the house. Would really love to get this great diffuser to enjoy the oils even more, without compromising their goodness and changing their natural properties. I have allergies since young and it would be nice to diffuse essential oils properly. Hope to win this. Thank you for the giveaway! FInally a review on essential oil diffuser from a trusted source. :) I have stocked some essential oils but have not found the right diffuser. I hope this will be the missing piece to the puzzle! I'm so happy I came across this post. I just recently started really using oils in earnest (versus just dabbling) and I've decided it would be great to try diffusing oils, especially for the benefit of a couple of my children who are less receptive to letting me apply the oils to their bodies. Eventually I'd like to have a diffuser for each bedroom but right now it just isn't in the budget. I'd see n the Novita line of diffusers but wondered how effective it was and if it used heat and safely diffused the oils. Now that I've seen your explanation I know this is a good option. Even if I don't win the giveaway, I'll be saving to buy a Novita diffuser in the near future. I will like to win thia as I am not sleeping well at night. Diffusing lavender with it wld be useful. The household wld benefit too with diffusing of various oils. Thanks. I will send u my email on facebook. I have been using the essential oils for my family members. It would be great to get the diffuser that diffuse the oils without compromising their therapeutic effects, as reviewed by you, Vicky, This is the one ! The Novita diffuser. Thank you all for participating in the giveaway! Winners have been contacted via email. 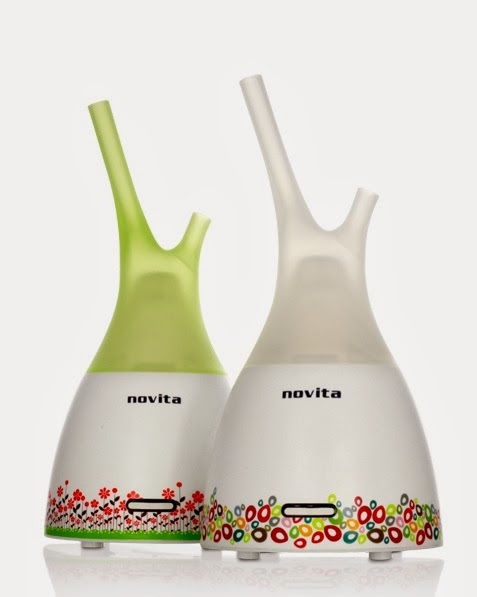 Hi - just wondering is this diffuser made from BPA free plastic? Aren't ceramic or glass diffusers a better choice? Hi Soumya, I contacted Novita regarding your questions but haven't heard back from them. Will update you when I hear back. Where do you recommend I get essential oils? 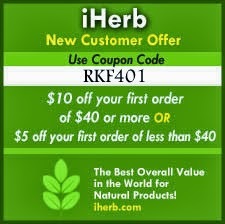 I get mine on iHerb.com. in Singapore the most popular ones is Young Living. They have offices/stores where you can buy them.